Today's card is fairly simple in design and colors and I adore it ❤ the main idea was to make a card in limited color scheme so I took a sheet of patterned paper with gold and black splatters and it was the starting point for my card. 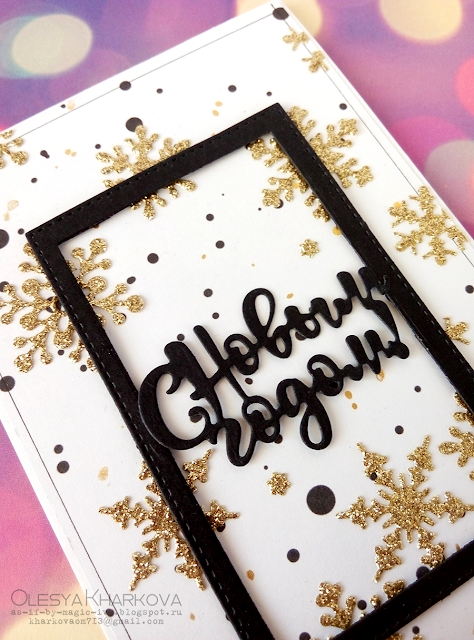 I die cut a bunch of gold glitter snowflakes and a black frame for my black sentiment. 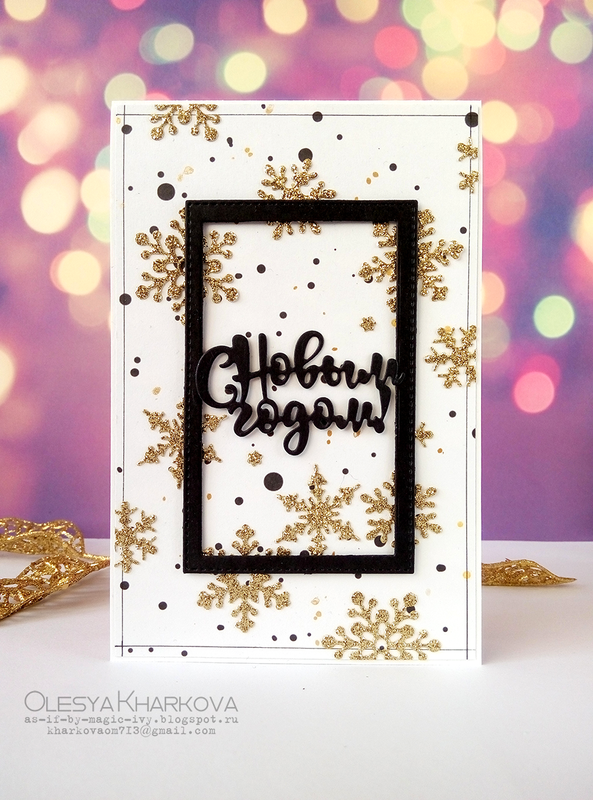 It says Happy New Year. 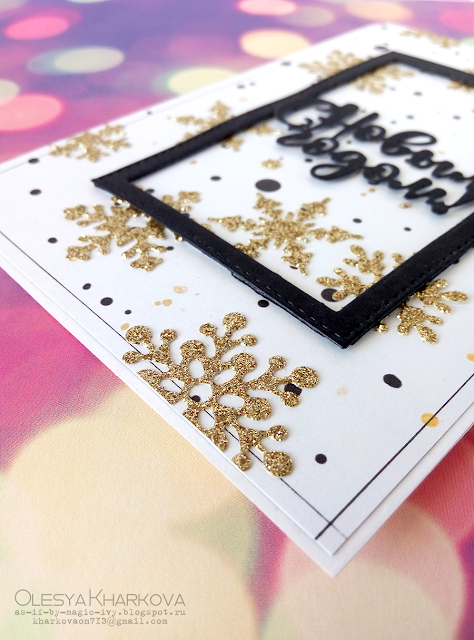 The finishing touches were to draw the borders with my black liner and add gold spray splatters. Really love black and gold together.